I love them.... The color is so nice and I love the heel! OMG the heels are GORGEOUS!!! You did a great job! They are very special and perfect for black dresses and black trousers. hi vasu! 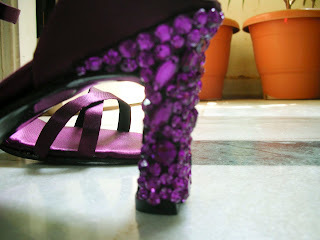 oh my gosh these shoes are so pretty ~ i just love the purple color along w. the sparkles!! you did an awesome job!! I really love these! You are such an inspiration! You made these?? Impressive. They are so pretty. I love the color! 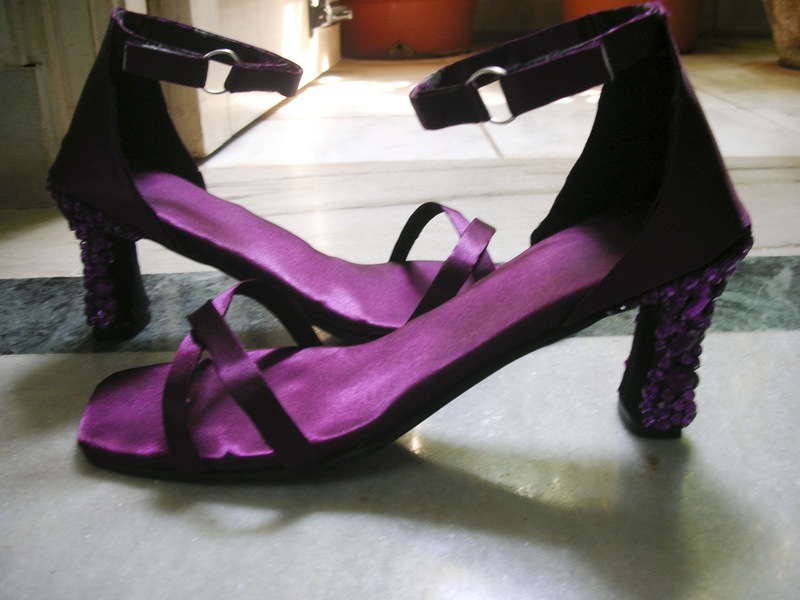 I think these shoes are so lovely. I love the bling on them! Thank you for your kind support on my last post. It was so kind of you! Wow that is sooo cool!!! The black pair with the bow are pretty snazzy too! You made those!? They're beautiful! 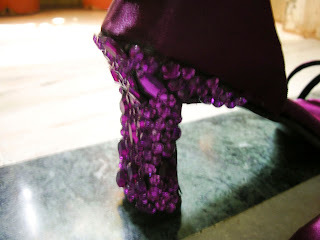 Loving this post.so creative shoes. you are really creative and talented!